Cosmo DiNardo, 21, of Bensalem and his cousin, Sean Kratz, 21, of Northeast Philadelphia. 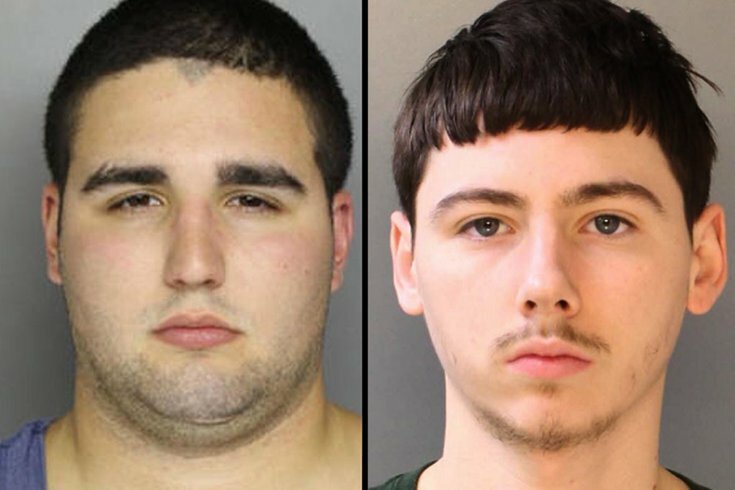 Cosmo DiNardo, the man charged with the brutal slayings of four young men on a Bucks County farm in 2017, has pleaded guilty to four counts of murder, according to multiple media reports. DiNardo appeared in court Wednesday along with his cousin, Sean Kratz, who is accused of taking part in three of the killings. DiNardo's plea spared him from facing the death penalty, according to NBC10. BREAKING: Cosmo DiNardo pleads guilty to four counts of criminal homicide for murder of four young men in Bucks County last summer. According to WHYY's Bobby Allen, DiNardo instead was sentenced to life in prison. BREAKING: Cosmo DiNardo, mastermind of quadruple murder on Bucks County farm, given life in prison. His lawyer says evaluation of him didn’t support insanity defense. During grisly summary of facts, family members embrace, weep loudly. DiNardo, sat shackled in an orange jumpsuit. Kratz, on the other hand, rejected a plea deal. Prosecutors will seek the death penalty against him, according to the Associated Press. The bodies of Jimi Taro Patrick, 19; Dean Finocchiaro, 19; Mark Sturgis, 22; and Tom Meo, 21, were discovered on the DiNardo family's 80-acre farm in Solebury Township last year. DiNardo shot and killed Patrick and buried him in a grave. Allegedly with Kratz's help, DiNardo also killed the other three men, burned their bodies and buried them elsewhere on the farm. DiNardo lured the men onto the farm by promising to sell them a large amount of marijuana, authorities said. The gruesome killings became one of the area's highest-profile murder cases in years. DiNardo and Kratz, both 21, originally had pleaded not guilty to charges in December.